Hello, Coquillat my name is Diego and I am the Director and CEO of the digital newspaper, I was born in Elche in January 1972. I graduated in Business Administration from the University of Alicante. Master in Equity Markets and Master in Marketing and Communication. 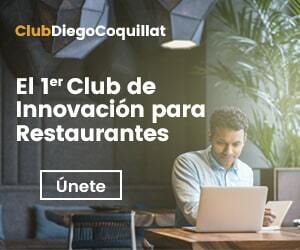 The main objective of this space is to help restaurants, and anyone who has concerns, to understand the process of digital transformation of the restaurant industry as innovation and new technologies represent the great revolution in the sector and are changing the model of relationship with customers. I am currently Professor of the University of Alicante in Business Administration Hospitality in the area of ​​new technologies. Professor at the ISGEG, Higher Institute of Management and Gastronomy in Barcelona. Professor at the UNED, National University of Distance Education, Chicote Creator within the School and CEO of the startup 10Restaurantes, portal leading restaurants for groups and eventos.Dirijo SMRestauranting, the first specialized social networking consultant topics, and scanning technology for the hospitality industry, gastronomy and tourism. Teach courses and conferences worldwide. I have published over 300 articles on the impact of new digital channels in the hospitality industry and have created the "Social Media restauranting" concept, term and recognized by the industry as a set of techniques to optimize the relevance of restaurants in digital environments. I collected pens and Converse sneakers. I am passionate about the Spanish gastronomy, argentina, and Asian. I not wear a watch. Accreditations keep my lectures and events. I love writing listening to music. Practico running y paddle surf. I came to have 21 hamsters. I have been in the south tower of World Trade Center. The passion for restaurants comes from my grandmother.